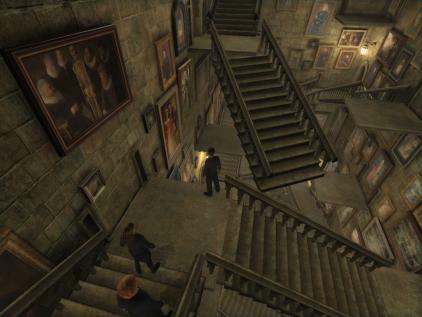 JK Rowling might have gotten her idea for Harry Potter - Hogwarts Castle's moving stairs from a place much like where I was. I could see where I wanted to go, but with all the construction and detours and stairs up and down, I found it difficult to get where I wanted. No where! Come on it's a stationary bike, if it goes somewhere then you have a problem with the piece of equipment your on. So Jumps aren't real, ever see anyone do that on a bike (other than being silly)? How about a Reverse Hill, the longer you climb, the easier it gets? Have a great time. Work out. Burn the calories, and remember it's about your health and fitness, not just this is what it's like in the real world. In the real world, I don't have a 1000watt stereo system playing Linkin Park either.